SSDs seem to be all the rage these days, especially when notebooks are getting smaller and lighter than ever before, requiring something which will shrink in size equally to keep up with the times. Among the advantages SSDs have over regular hard drives would be its quietness as well as speed, and with no moving parts to worry about, you also lower the risk of having it die on you when you’re on the road during a particularly bumpy ride. 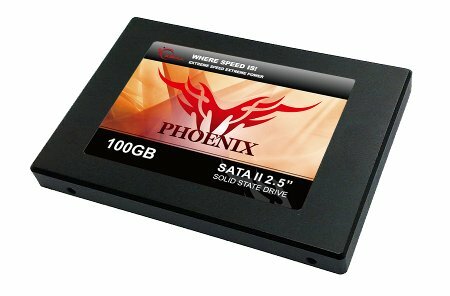 G. Skill has rolled out its Phoenix SATA II 2.5” Solid State Drive recently that features the latest ultra-high performance SandForce SF-1200 controller, capable of offering 280MB/s and 270MB/s of read and write speeds, respectively, coming in 50GB, 100GB and 200GB denominations. No idea on pricing or availability, but you will get a 2-year warranty with each purchase. Have you jumped aboard the SSD bandwagon just yet?